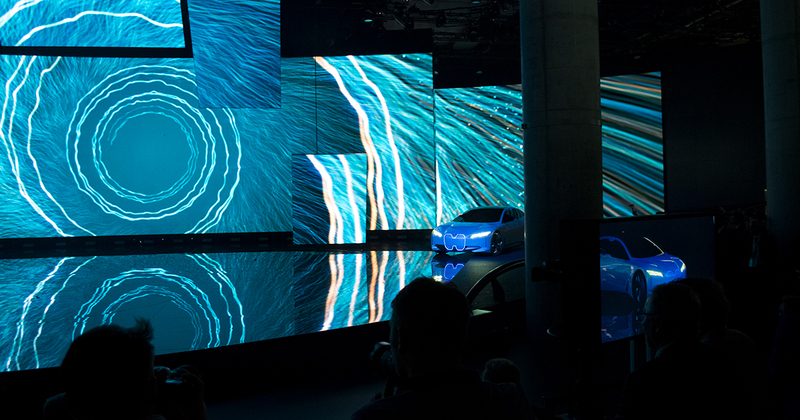 "Electric mobility is 'The new normal' for us" – the BMW Group's press conference at the beginning of the IAA 2017 clearly transmits their position on electric mobility and the BMW i Vision Dynamics delivers a tangible prospect for the next i-models. Journalists at a press conference are by no means a rarity. But that a political journalist from Berlin should open the BMW Group’s press conference at the IAA – well, that definitely has not happened before. 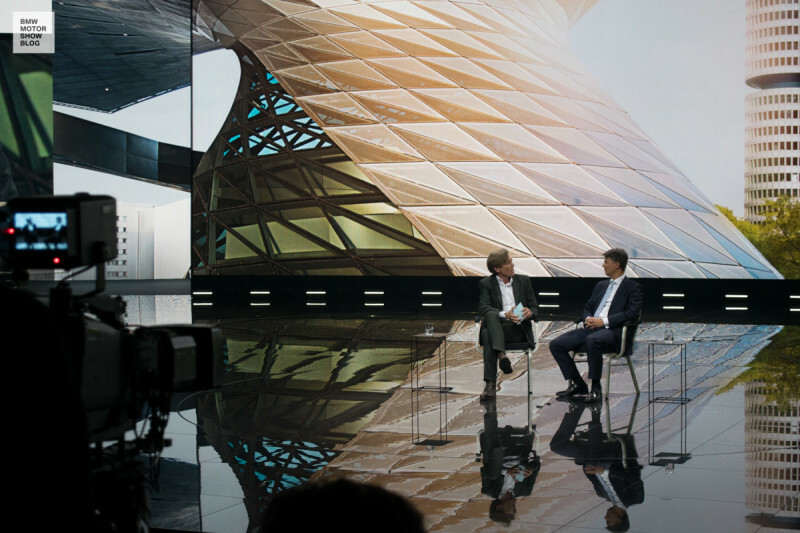 Hajo Schumacher greeted the many guests from international media at 8:30 a.m. on the “Vision Loop” stage in Hall 11. At his side: BMW-Chef Harald Krüger, who subsequently provided complete answers to Schumacher’s critical questions in a confident manner during a quarter-hour interview. An orchestrated promotional appearance? By no means. Right from the beginning Schumacher emphasized that his questions were neither rehearsed nor influenced in any way. After a light conversation starter – Schmuacher:”What was your first car?” Krüger:”An Opel Kadett.”, laughter from the audience – the omnipresent topic of emissions was addressed. 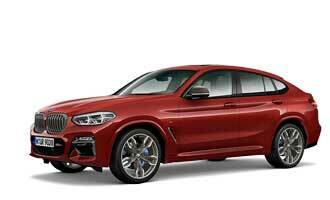 “In the case of the BMW Group I will clearly state: we did not manipulate our vehicles. We have diesel motors that are clean – they are the worlds best. There is no ‘defeat device’ in the BMW Group”, Harald Krüger pronounced to strong applause from the audience. The vehicle presentations occurred after the detailed interview – a clear affirmation of electric mobility as the propulsion concept of the future. 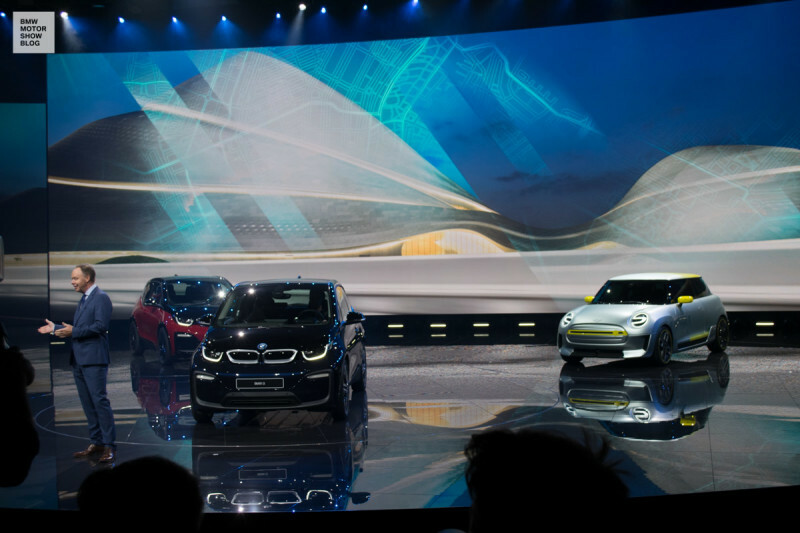 With the updated BMW i3 and the new sports model BMW i3s, the Bavarian company wheeled two new electric production cars onto the stage, followed by the new MINI Electric Concept and the silent E-Scooters BMW C evolution and Concept Link from BMW Motorcycle. 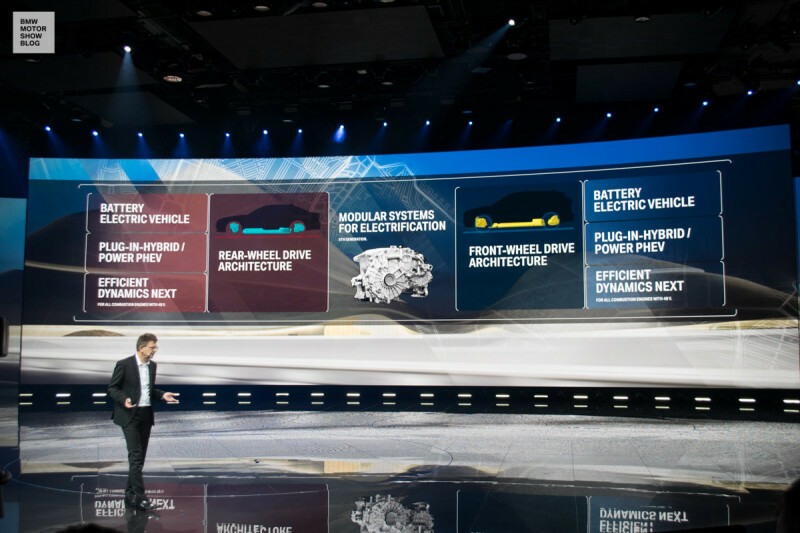 Chief of Development Klaus Fröhlich explained the prospective strategy of construction with scalable electronic platforms for front- and rear-wheel drive, that will be adaptable for each drive technology. “We need more than single solutions. Electric mobility is the ‚new normal’ for us. 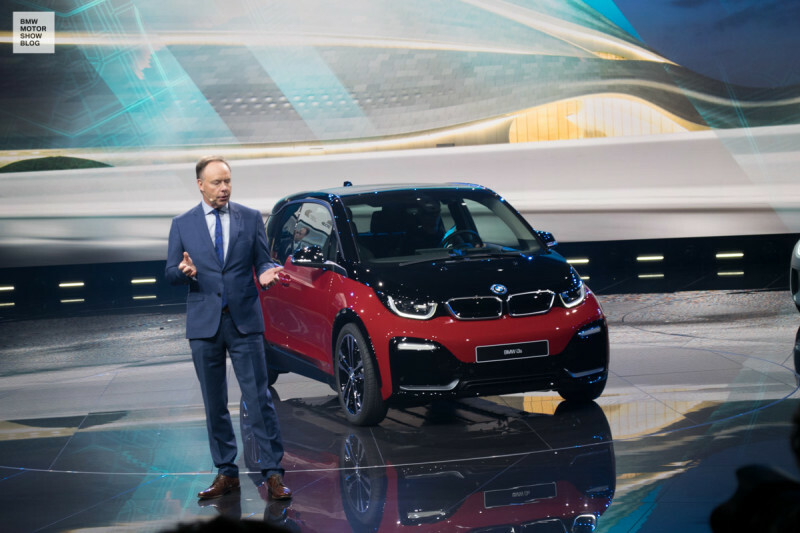 This clearly distinguishes us from competitors.” According to Fröhlich, BMW should be able to offer each range of models with a combustion engine, plug-in hybrid or as a battery-powered vehicle as of 2020. 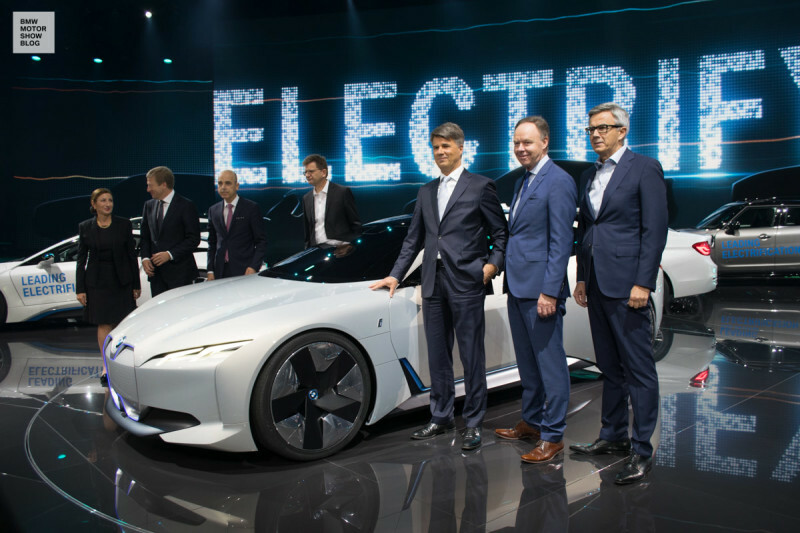 Acting as a further confirmation of the e-strategy, an absolute world premier was wheeled on stage: the BMW i Vision Dynamics was neither presented beforehand nor leaked on the internet. “I can promise you, the BMW i Vision Dynamics will go into series-production”, Fröhlich said right before the end of the BMW press conference. All information on of the electric powered four-door Gran Coupé with a 600 kilometer range can be found in this detailed article.